Learn about environmentalism, climate change, and sustainability through film during the 2017 Earth Week! UCLA’s Green Screens Film Festival will showcase poignant films on diverse environment and sustainability topics. This year, Green Screens kicked off the film fest with a full-house attendance of the LA Premiere Preview of “The Cat That Changed America” back in March. 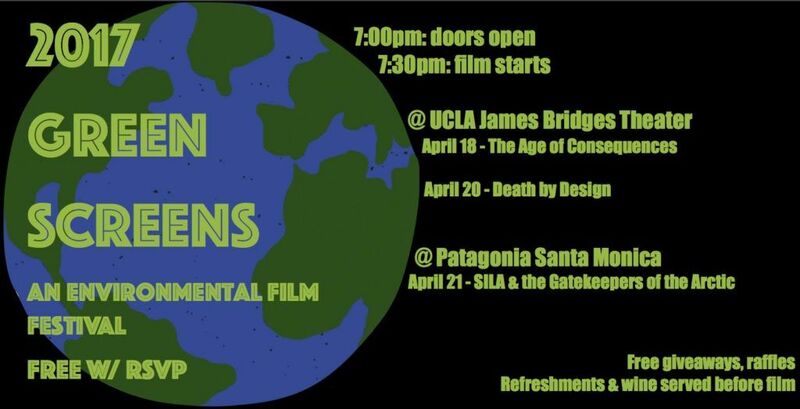 Get excited for the film lineup we have during Earth Week this month!